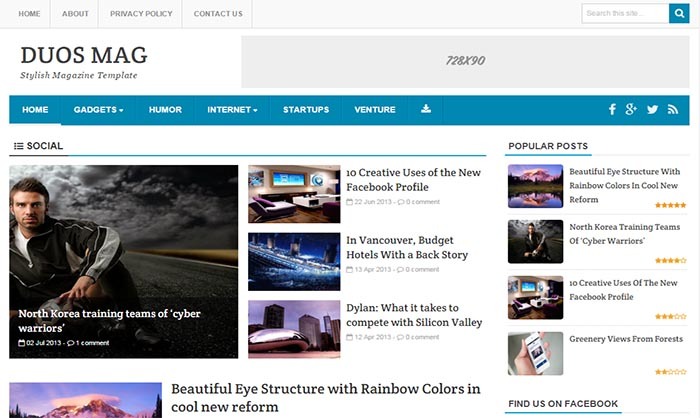 Duos Mag Blogger Template is another awesome them in our list that’s ideal theme for Magazine, News, Technology and Reviews Website. It comes with clean and elegant design as well as some other advanced features that make your website more professional, unique and user friendly. There is already Whats-app button integrated, so whenever your visitors visit your website from mobile devices then they will be able to see your blog content as well as then can share it with their friends, so why are you waiting for just go ahead and pick this awesome design for your blog.